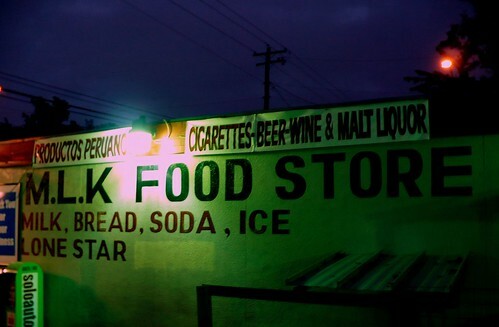 MLK Food Store at dusk, originally uploaded by _cheryl. Following Cheryl Coward‘s images of Dallas’s MLK, a couple from Austin, TX. Here’s her Austin set. 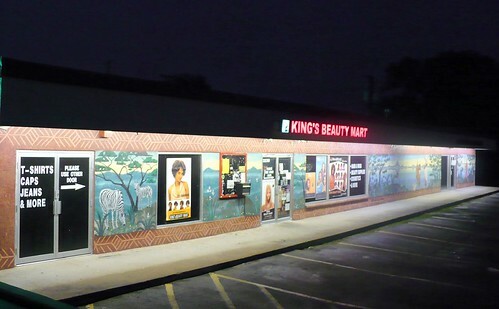 king’s beauty mart at night, originally uploaded by _cheryl. This entry was posted in Austin, TX. Bookmark the permalink.